Thickness: 1.2mm/0.047" Hook: Double Hooks Chain type: Cable Chain Infinity Size: 3 x 1.2cm/ 1.25" x 0.51" Material: 925 Silver Thickness: 1.2mm/0.047" Hook: Double Hooks Chain type: Cable Chain Infinity Size: 3 x 1.2cm/ 1.25" x 0.51" Material: 925 Silver Rose Gold Engraved Infinity Necklace - Simply use classic infinity name necklace to say your forever love. 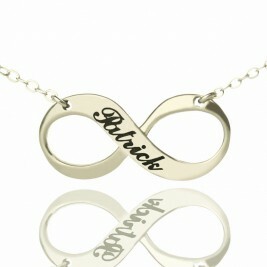 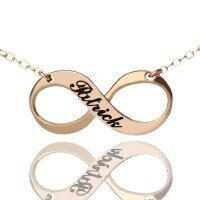 These are unique necklaces owing to the design of the infinity symbol and engraved name on it. 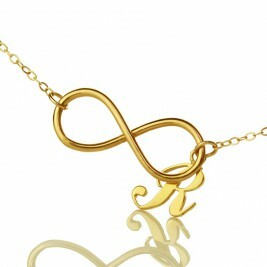 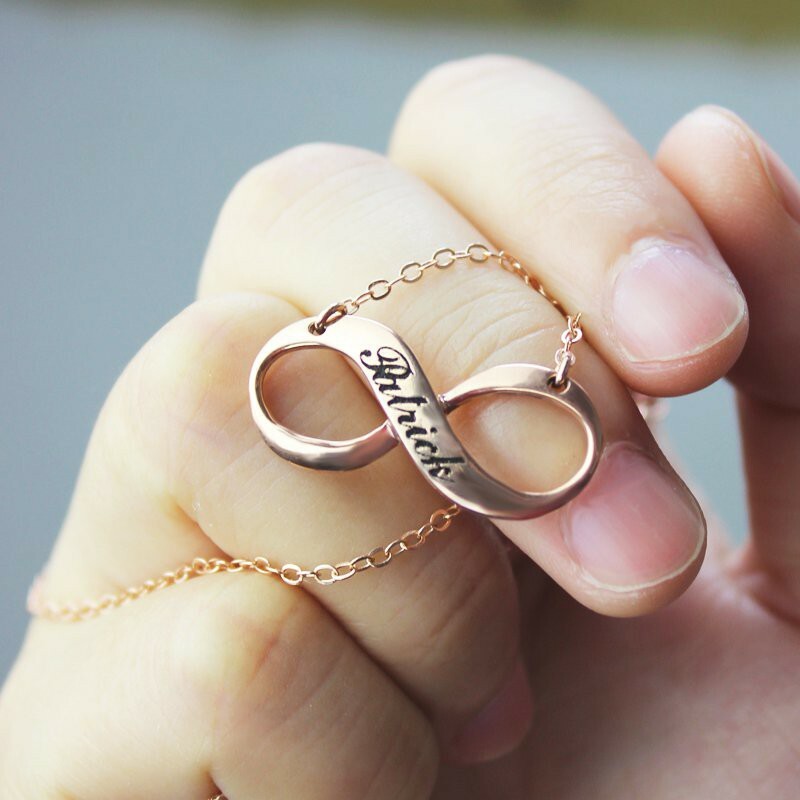 Make one infinity necklace to celebrate your love! To preserve the pristine look of your jewelry, apply your make-up first, wait for it to set, then put on your jewelry. 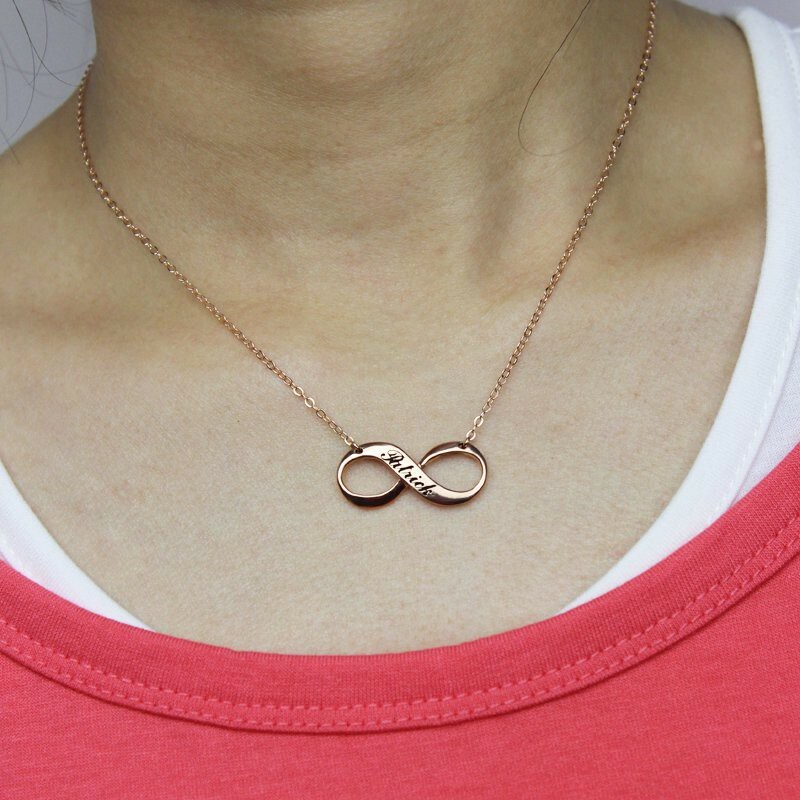 Any kind of spare dust or oil will attach itself to your jewelry, so putting it on before makeup will just make it look a little dirty. 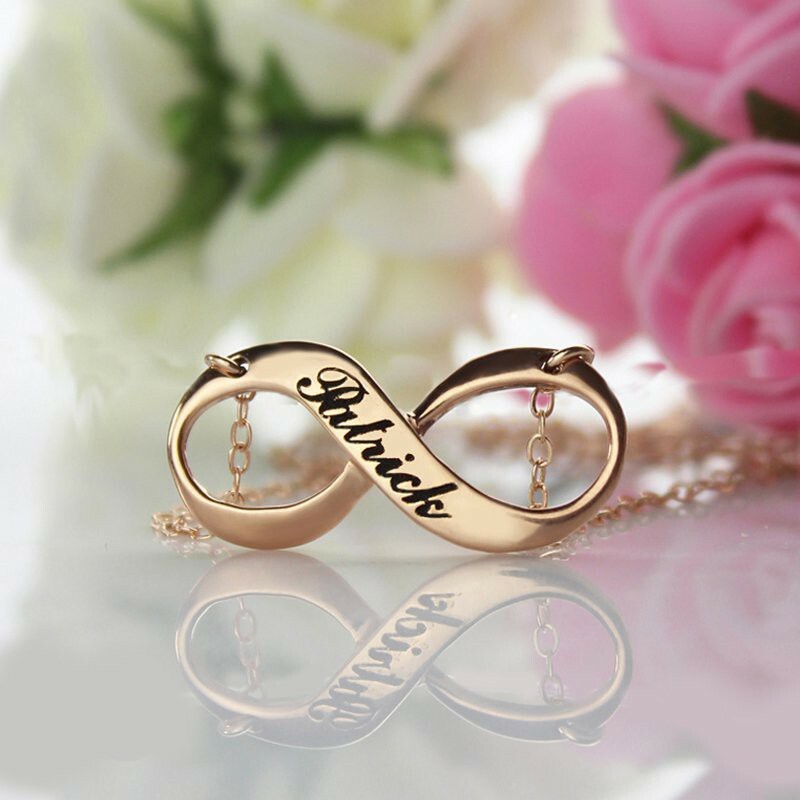 It is especially important to keep this in mind when putting on earrings and necklaces. 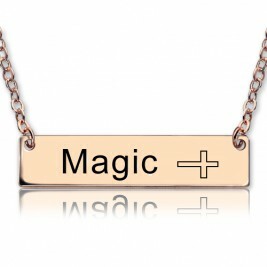 I am very happy with this necklace. 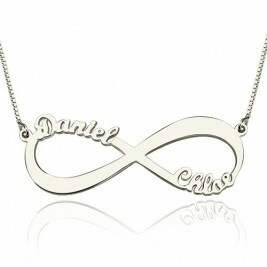 It is even prettier in person. 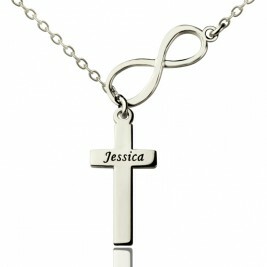 It is delicate and very feminine looking.